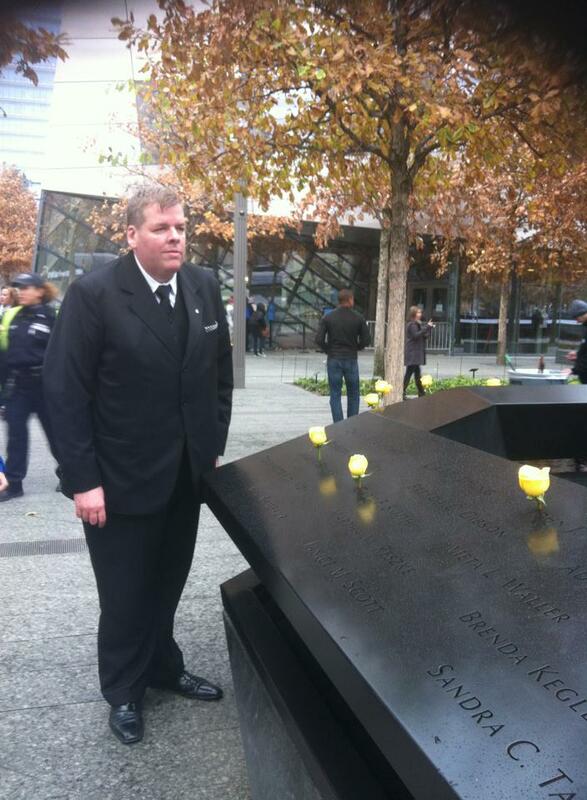 "Today's message of the Ground Zero is that the fight against international terrorism is our common responsibility” - said Sir Andor Schmuck, knight commander of the Sovereign Order of Saint John of Jerusalem, Knights of Malta, Federation of the Autonomous Priories (KMFAP), who visited New York City Ground Zero 9/11 memorial site. 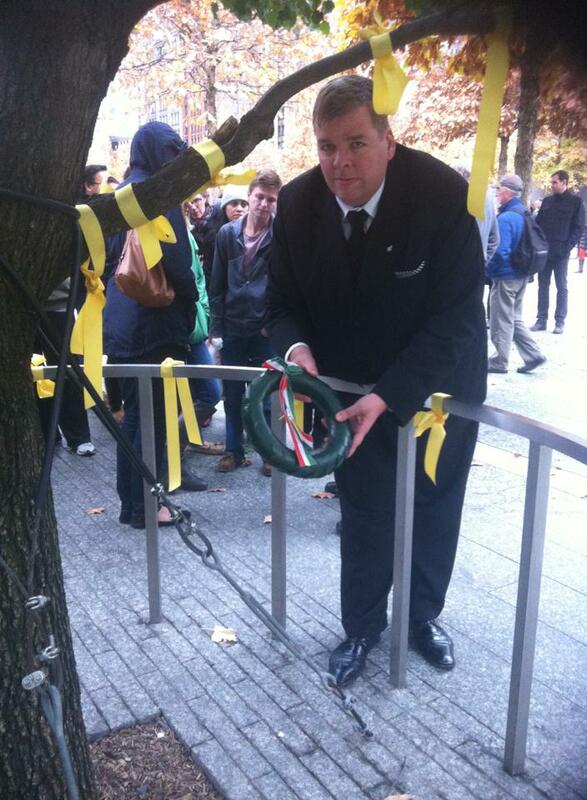 Sir Andor Schmuck placed the wreath decorated with the tricolor ribbon at the Survivor Tree in the memorial park – situated on the site of the former Twin Towers. 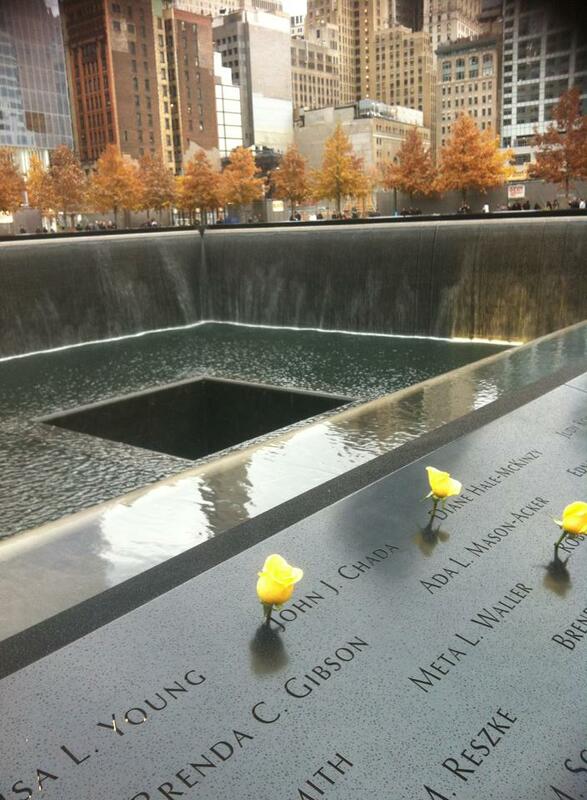 The already multi-meters high tree – which was found in 2001 under the ruins of the buildings almost entirely burned – has become the synonym for survival, and the central symbol of the memorial. 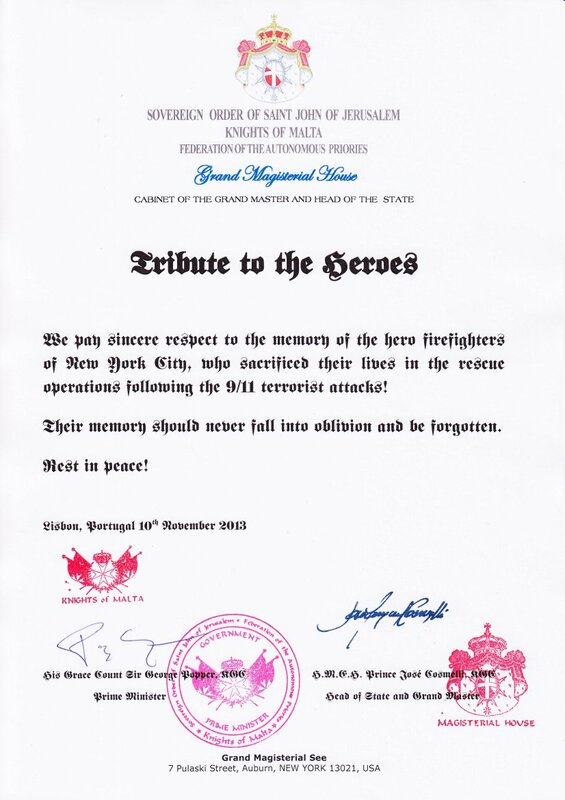 Here Sir Andor handed over to Pnina Michelson – representative of the institution that tome, in which more than five hundred Hungarian citizens, firefighters, civil associations – including the KMFAP as well – collected their thoughts, condolences and personal messages to the relatives and friends of the victims of the terror attacks, and also to the city's residents. This book will be the exhibit of the memorial museum, and the opening ceremony will take place in 2014.